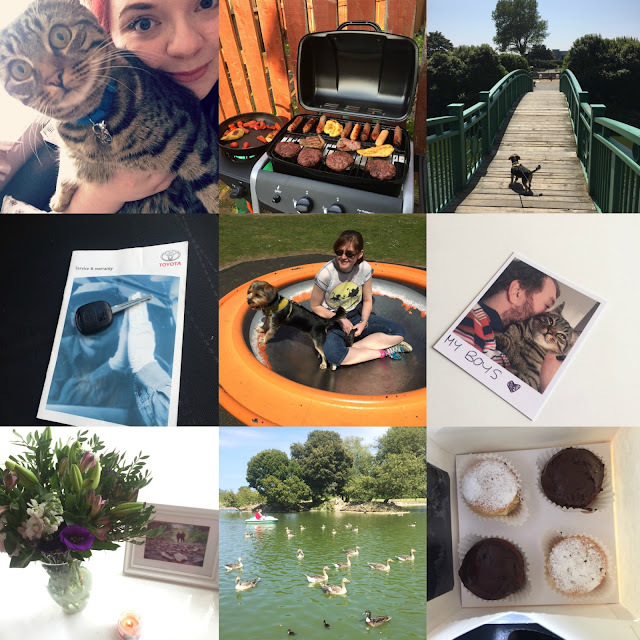 Home / lifestyle / Oh June... || Monthly Round-Up. 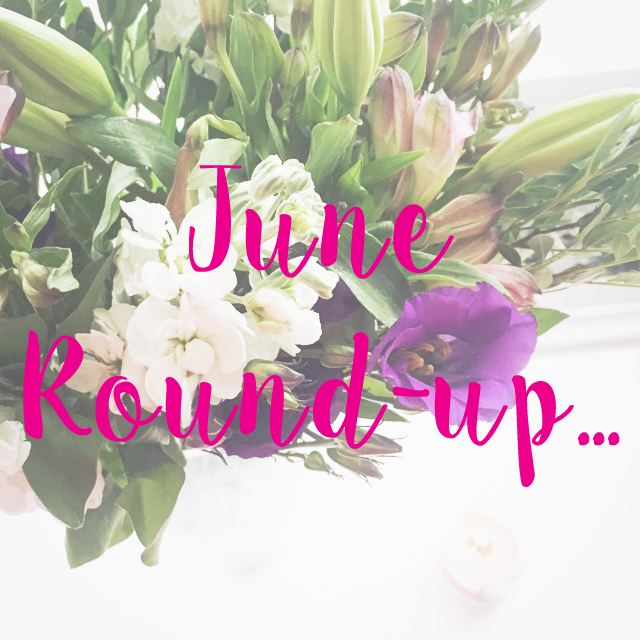 Oh June... || Monthly Round-Up. Oh June, you were a weird month. The month started with me in one of the worst places mentally that I’d even found myself in and signed off work. That was one of the worst parts if I’m honest. I wanted so badly to be back but just ‘couldn’t function’ at the time. I wrote more about it in a post the other week. However, halfway into the month I was feeling far better and I’m now back at work. It’s nice to not feel like a total waste of space, and the first time someone asked for my help- the relief of them not thinking I was a total idiot waved over me! I cannot say I’m 100% though, I’d convinced myself that the noise from my car’s air con kicking in was a terrible sign that my car was about to break and I ended up parting with £150 for a service and check over to be told everything was fine *sigh*. I've decided that in July I shall focus on immersing myself in positive things and surrounding myself with positive people. Everyone loves a little whinge now and again but the worst thing at the moment is moaning murtles- people who've NOTHING nice to say about anything/anyone. I just have no time for that in general, but especially lately, it's amazing how some peoples moods and bring you right down! It's a lot easier to just be nicer and just keep your mouth shut if you've nothing nice to say. On that note, lets move on to the positives! The fiancé has been such a good egg whilst I’ve been off sick, I even got the most beautiful surprise flowers- I'm a little obsessed with Bloom & Wild now after both sending and receiving bouquets from them this month. I think it's amazing how you don't have to wait in/ or spoil the surprise by making sure the person is going to be home to send them something. Gorgeous flowers teamed with hot and sunny weather made this month feel very much like summer which has meant I could get my BBQ on! I swear BBQ’s are one of the few things I love about summer. Plus I got to visit the most beautiful park and have a lush picnic on such a beautiful day with one third of my bridesmaidly dream team. Dexter The Cat also had his first birthday. I had such plans for the special day throughout the year- throwing him a birthday party being one of them, but being sick meant it just didn't happen. He did however get spoilt with so many presents and a fishy birthday cake! My little baby is all grown up! On the wedding front, I've ordered loads of little bits from ebay. I had my first fail of an order from china though. You know when the pictures look amazing, it's dead cheap, and it arrives and looks NOTHING like the photos? Yeah that. Given it was fairy lights which had exposed wires, I haven't even dared use them! We also done our first cake tasting! The lady was local and lovely. Cost permitting, I want everything I cannot hand make myself- ie florist, photographer, cake etc, to be a local small business. I could easily order a cheap, mass produced wedding cake from m&s, but funding giant companies to celebrate our love when we could support a local, very very talented, working mum instead, would feel wrong. So in summary, june started crap and ended slightly better. It's still a struggle but hopefully July will bring more positives again. 1 comment on "Oh June... || Monthly Round-Up."